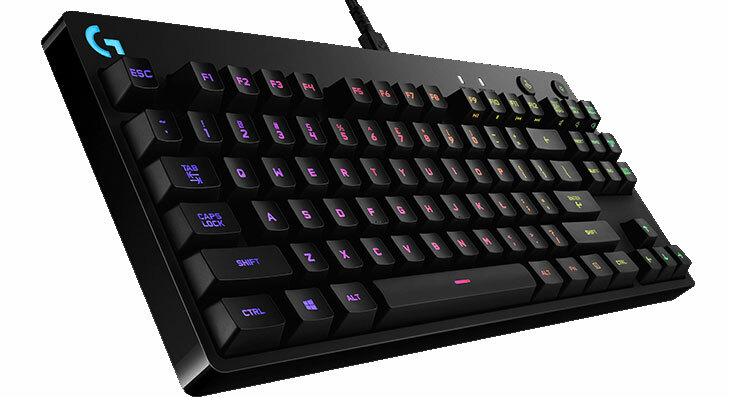 Logitech has undergone some changes to their nomenclature of late, dropping the names from their hardware in favor of an alphanumerical designation, like the G810 Gaming Keyboard. 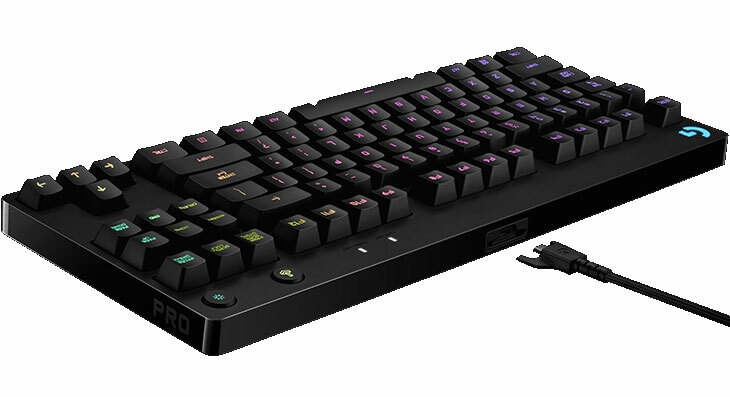 But their newest keyboard eschews even that, calling itself simply the G Pro Mechanical Gaming Keyboard. If you're thinking that the Pro name is already taken by a mouse, you're not wrong. The reason the two devices share a name is that Logitech is adding to its "Pro" branded line of peripherals that are tailored to the needs of eSports professionals. The very first thing you'll notice about the Pro Keyboard is how small it is. Because it lacks a numpad, and shares the same minimalist body as the G810 keyboard, it looks even smaller. I spoke with Logitech's Senior Global Product Manager, Mark Starrett, about the keyboard, and he told me that the company had designed the Pro for maximum performance in a minimal package. Professional gamers travel about half the year, and the Pro is easier to pack, carry, and set back up again. It also fits more easily in the small space that eSports gamers are given to set their gear up. The numpad is a luxury those gamers don't need, so it was left off entirely. While it may be small in size, the Pro is loaded with quality components. Its 87 keys are all equipped with Logitech's proprietary Romer-G switches - the same switches that are used in the G910 and G810 keyboards. Each switch is rated for a lifespan of 70 million clicks. The switches also feature a shorter actuation point (1.5 mm), and the Pro adds redundant contacts to each key. That means that not only does the key actuate faster, but it sends a signal faster than other switches on the market. Logitech says that the Pro sends a signal for a key press in just 2.5 ms, which is 10 ms faster than Razer's Blackwidow Chroma V2, and more importantly, is also faster than CS:GO's tickrate. That means you can see actions happen in game fractionally faster, which at the pro level can be the difference in a game. The Pro also features a detachable micro USB cable that looks remarkably similar to the one included with the G900 Gaming Mouse. In fact, if you're desperate, you can use the Pro's cable to charge the G900. Don't think that the Pro is a wireless keyboard, though. It requires you to connect the cord to use it, but you can more easily pack it away if there's no cord, and you don't have to damage a permanent cord by wrapping it around the board. The keyboard also contains a full steel backplate, so despite its small size, it is remarkably sturdy. As you'd expect if you've used the G810, the Pro features Logitech's through-the center lighting system, which eliminates lighting bleed around the keys. The lighting is bright, easily visible, and can be customized in almost any way you like using Logitech's Gaming Software. 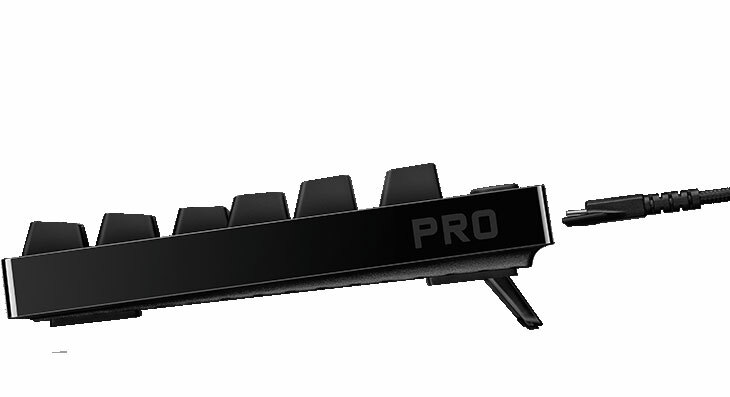 The Pro also includes onboard memory to store your lighting profiles, so no matter what machine you're plugging into, your keyboard will always look exactly how you like it. The onboard memory will not store macros, as that's frowned upon in competition settings. 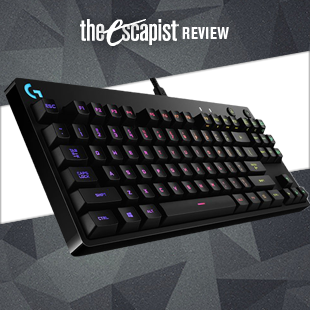 The Logitech G Pro Mechanical Gaming Keyboard is a quality piece of hardware that's expressly designed to be part of a professional gamer's go-to kit. If you're looking to try out the tools the pros use, or you just want to regain a little more free space on your desk, this may be just the thing you've been looking for. The G Pro is available now, and is priced at $129.99. Bottom line: There are no surprises here. 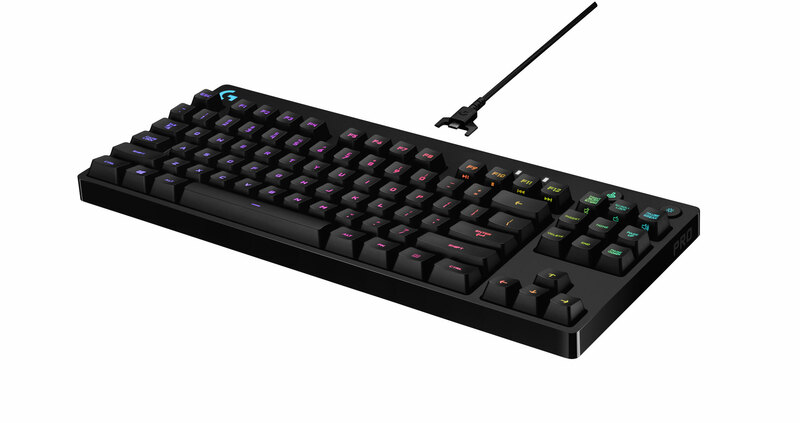 The Logitech G Pro is a high-end mechanical gaming keyboard with great switches, tons of customization, and a smaller form factor. If that's what you're after, it's all right here. 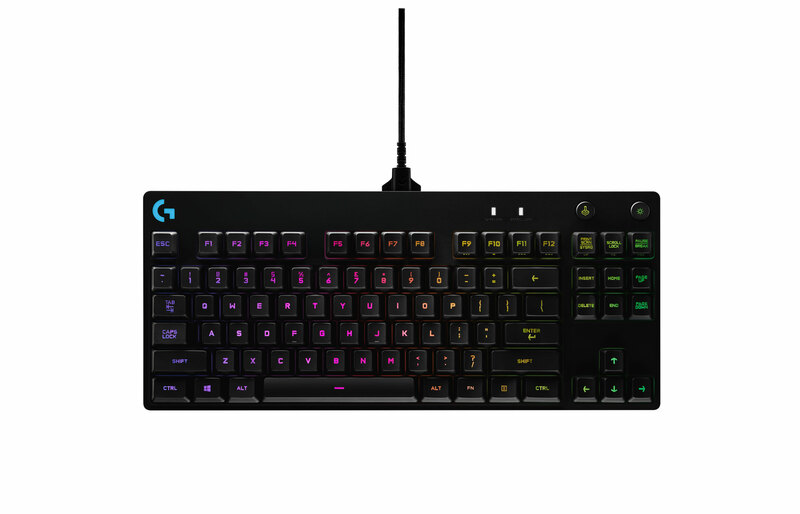 Recommendation: The Logitech G Pro is the perfect gaming keyboard for those looking to use the same gear the pros do, or those who want a great keyboard in a smaller package.